Yahoo Inc is set to completely exit from China this year, after the United States-based technology giant said it was shutting its research and development center in Beijing. The company's decision to end its only physical presence in the Chinese mainland could eliminate as many as 300 jobs, industry sources said on Thursday. Yahoo, however, declined to specify the actual number of jobs that would be made redundant. "We are constantly making changes to align resources, and to foster better collaboration and innovation across our business. Today (Wednesday) we informed our employees based in Beijing that we will be closing our office there," a statement said. The workers, mostly engineers, will be relieved from their posts by the end of this month, according to The South China Morning Post. 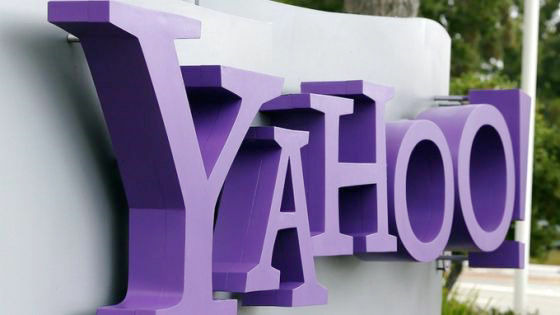 Richard Kramer, the London-based managing director of Arete Research, an equity research firm, said: "The mainland has not been a major part of Yahoo's strategy for many years, even though the company has good legacy businesses in Hong Kong and Taiwan". The company's announcement, however, did not surprise most industry experts, as they feel that company has been under increasing pressure from shareholders to reduce costs and improve profits. Yahoo's other two R&D facilities, one located in its headquarters in California and the other in Bengaluru, India, have also been affected by job cuts in recent months. Neil Shah, research director at market research firm Counterpoint, said: "The writing was very much on the wall. Since the end of 2013, Yahoo had started scaling down its services in the Chinese mainland and it was about time to reduce the unwanted resources not contributing to any revenues." This year has been tough for foreign technology companies operating in the Chinese mainland as they face increasing competition from stronger local firms. In February, Microsoft announced that it would close two factories and lay off around 9,000 workers. Also in February, social gaming company Zynga decided to close its studio in Beijing. Underperforming search business vis-a-vis local firms like Baidu, as well as overall corporate streamlining of operations to close down unprofitable centers, are some of the reasons why Yahoo has decided to close the Beijing office, said Shah from Counterpoint. Will Tao, an analyst at consulting firm iResearch, said: 'The salary of Chinese developers is now higher than their Indian counterparts. Therefore, it was just a matter of time for it to happen." 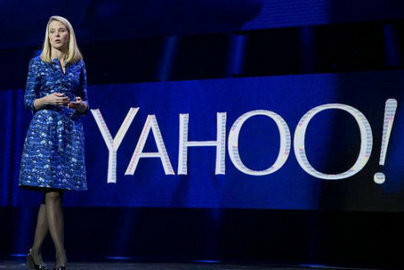 Yahoo's decision to shut the office in Beijing could mean that the company is planning to leave the country for good. "It will be difficult for Yahoo to make a comeback in China once the operations are scaled down to this extent. Even if it develops a new strategy, it will take almost a decade to even reach 5 or 10 percent share in the Internet space," said Shah. In 2013, Yahoo shut down its mail service and Web portal in China and transferred its customers' accounts to Alibaba Group's Alimail. The R&D facility, founded in 2009, was the only remaining company office in the Chinese mainland. The center mainly focused on advertising, cloud computing and other personal Internet tools and technologies. Engineers who are being laid off by Yahoo Inc are already being courted by talent-starved Internet companies in China. Big names such as Baidu Inc and JD.com Inc and small startups have sent out feelers to some of the engineers from Yahoo's soon-to-be-closed Beijing research and development center. In response, lagou.com, a website that matches employees and employers in the burgeoning domestic Internet sector, has already arranged face-to-face meetings. More than 20 companies and about 30 Yahoo employees showed up to a quickly arranged job fair in Beijing. Ma Delong, chief executive officer of lagou.com, said it is safe to say that the 200 or so people from Yahoo's Beijing R&D center will not satisfy the demand of Chinese Internet employers. "Yahoo's reputation attracts these would-be employers. And the booming development of the nation's Internet companies and the wave of Internet entrepreneurship here have created the thirst for Internet talent." He said that the number of university graduates in Internet-related majors is far short of demand. "The data from our site showed that in some hot areas of expertise, there are two to three openings per employee," he said.